I hope you had a good Easter break and that you managed to recharge your batteries. This term, many of you will be planning for the start of your new GCSE in September. The SHP Conference in Leeds will be packed with ideas to help with this. The weekend includes sessions to support all the new specs as well as workshops aimed specifically at SHP (OCR B). As usual, we have a fantastic line-up of presenters who will provide inspiration for Key Stage 3 and A level as well as GCSE. See the details below and make your booking. Over the last few weeks it’s been a privilege to have met with teachers in different parts of the country who are planning for the new SHP GCSE. There is no doubt that introducing a new GCSE is a lot of work, but the enthusiasm for the new SHP spec is really encouraging. In my latest blog for the SHP website, I’ve picked out five important planning principles for the new GCSE. I hope you find it useful. The best CPD of the year, again! over thirty workshops from some of the country’s leading practitioners. a wide-ranging fringe including sessions from each of the awarding bodies and the ever-popular SHP Teach Meet. The conference is great value for money. We hope you can join us. SHP’s Regional Advisers provide direct contact with the Project for teachers within a particular region and contribute to SHP’s conferences, publishing and website. All our Regional Advisers are experienced teachers who have developed rigorous and creative approaches to teaching history. Many of them will be teaching the new SHP GCSE (OCR B) so do contact them if you need advice on this or an other aspects of history teaching. 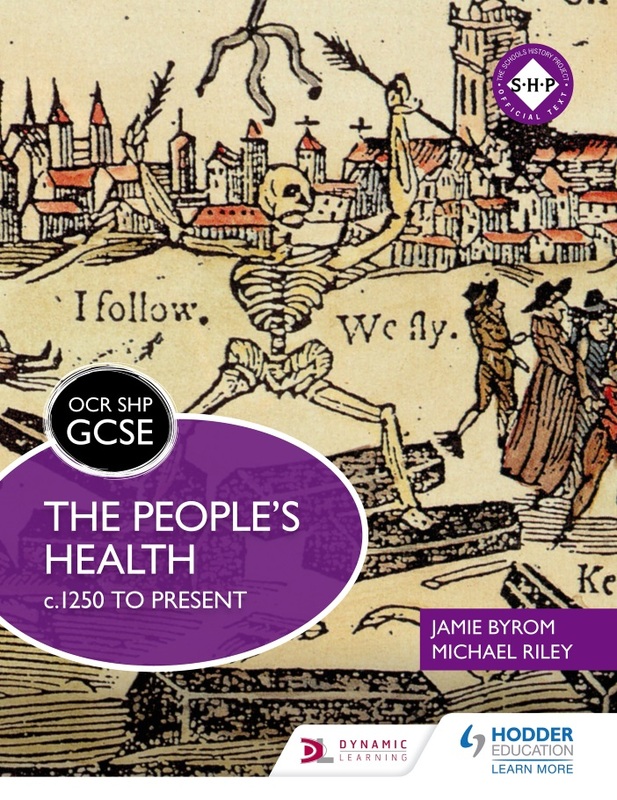 We are pleased to announce that the first title in SHP’s new textbook series for the OCR B (SHP) GCSE The People’s Health, by Jamie Byrom and Michael Riley, will publish at the end of April. We hope that you and your students enjoy this textbook. Do let us have your feedback when you’ve had chance to read it and have used it with your students. Viking Expansion, by Chris Culpin; The Mughal Empire, by Jamie Byrom and Michael Riley; The Making of America, by Alex Ford; The First Crusade by Rachel Foster and Kath Goudie; Aztecs and Spaniards, by Kate Jarvis and Richard Woff, Living Under Nazi Rule, by Richard Kennett. For the accredited OCR B (SHP) specification, SAMs and information on support for the specification, please click here. A day of inspiring CPD for primary teachers in Kent, Thursday 9 June 2016 at Kent College Canterbury. The day is organised by Andy Harmsworth, SHP’s Regional Adviser for the South East, and is held in memory of Ian Coulson. For a programme and booking details,email Andy. The HA’s annual conference takes place in Harrogate 8-9 May. For the programme and booking details click here. This outstanding teacher development programme is based on a partnership in which the world’s leading university for education helps schools to transform their pupils’ understanding of this complex and emotionally-challenging subject, improving teaching standards, raising pupil achievement, and strengthening SMSC provision. The programme includes expenses-paid study in London and Poland, exceptional teaching and learning materials and ongoing support from the world’s leading university for education. For further information on the programme and application process, click here. 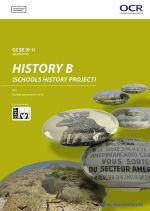 For an infographic by Paula Kitching, History Tours Development Manager, Rayburn Tours, click here.